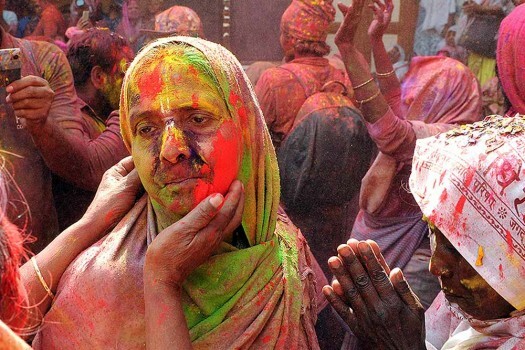 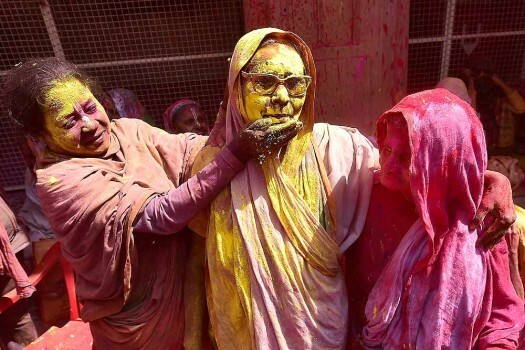 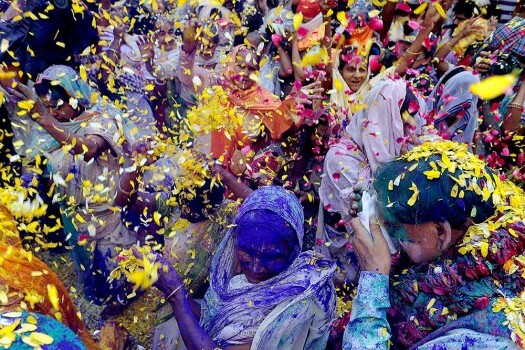 Widows participate in Holi celebrations at a Temple in Vrindavan, Uttar Pradesh. 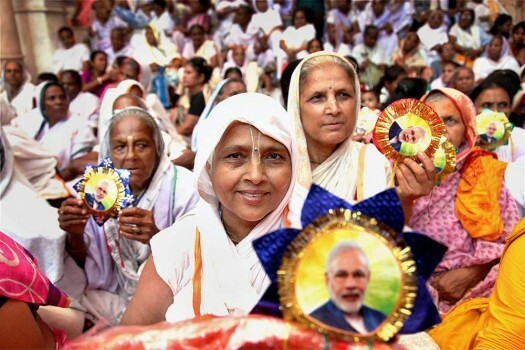 Widows of Vrindavan celebrate Raksha Bandhan Festival and show their "Modi Rakhi" during a function organised by Sulabh International at Gopinath Temple in Vrindavan. 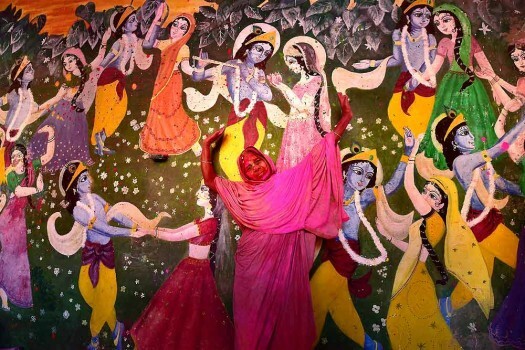 A widow dances in front of the pictures of Lord Krishna and Radha as she celebrates Holi at the ancient Gopinath Temple in Vrindavan. 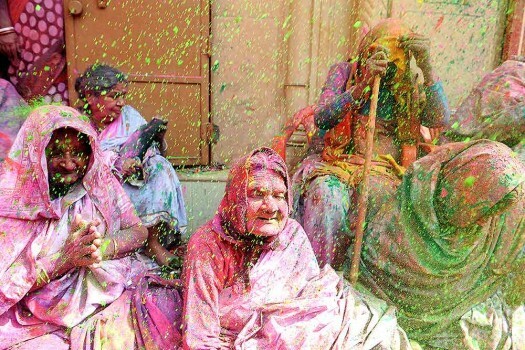 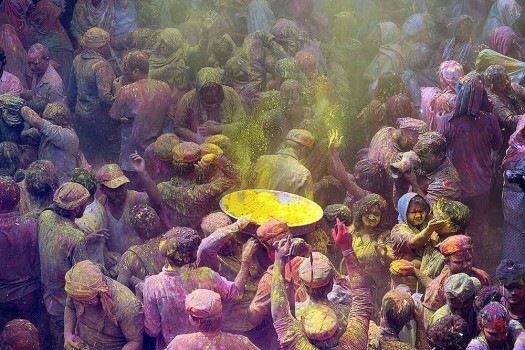 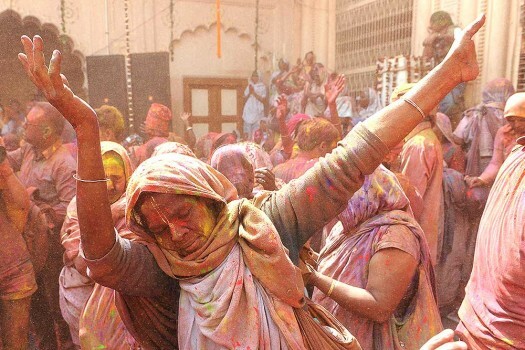 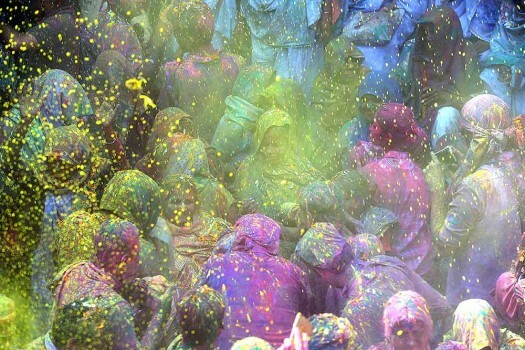 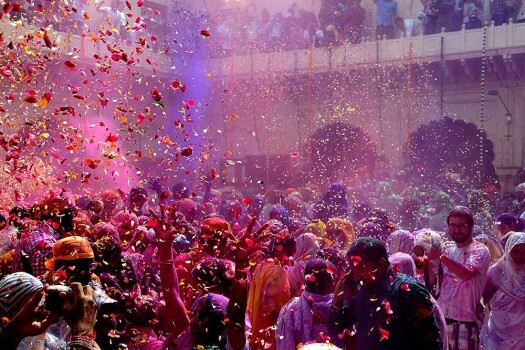 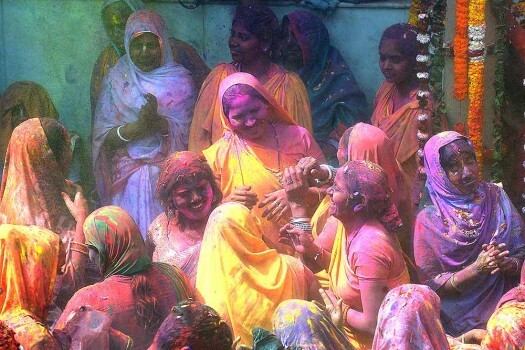 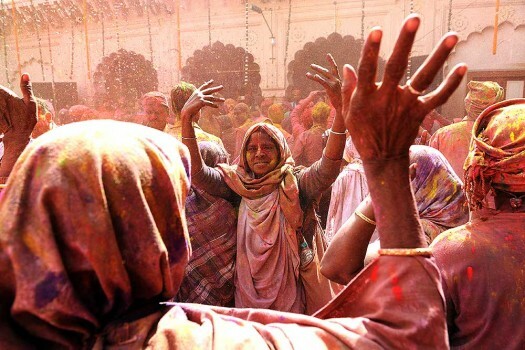 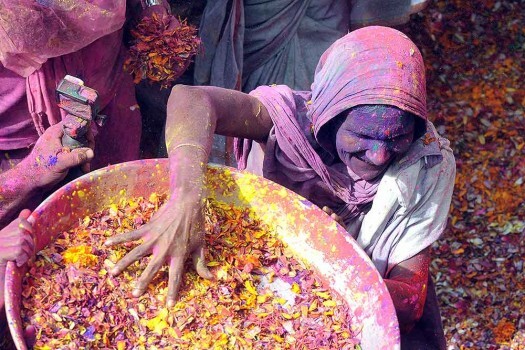 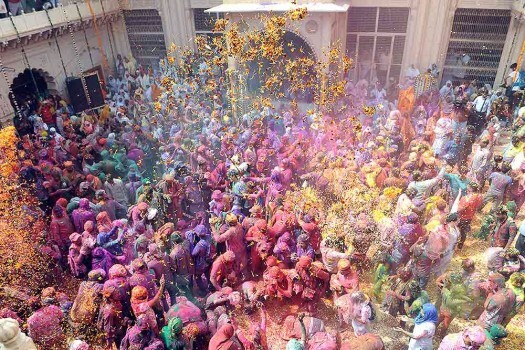 Widows playing Holi with colours at ancient Gopinath Temple, in Vrindavan. 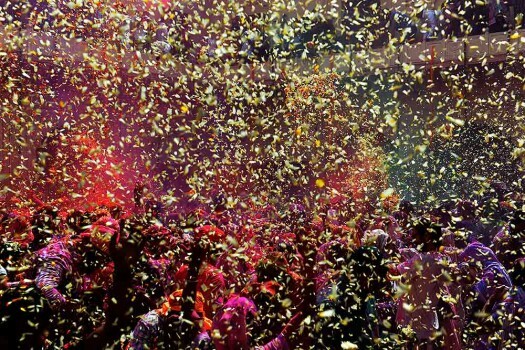 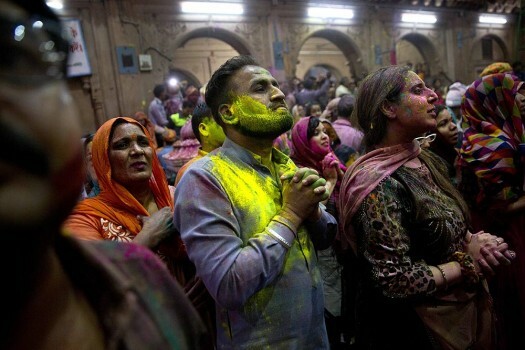 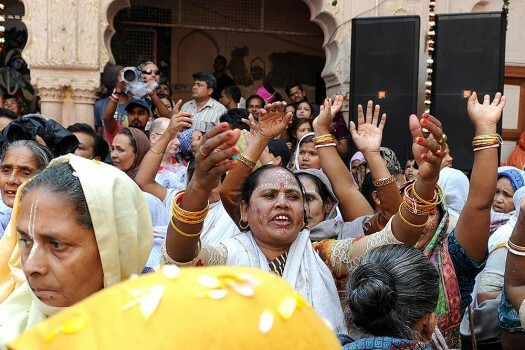 Devotees smeared in colors pray inside Banke Bihari temple during Holi festival celebrations in Vrindavan. 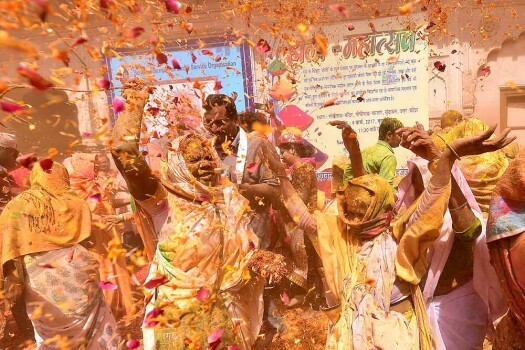 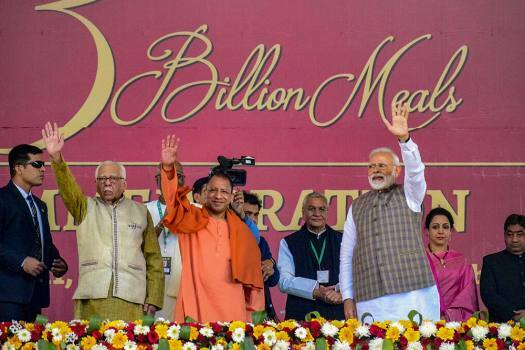 According to an estimate, there are around 5,000-6,000 widows living in Vrindavan, Govardhan, and Radha Kund areas of the Mathura Lok Sabha constituency, which goes to polls on April 18. 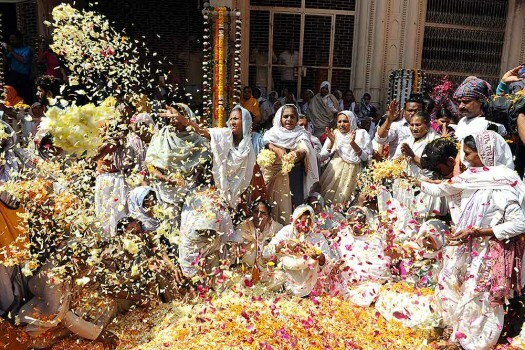 The widows of Vrindavan are of the view that there is more fun in celebrating Diwali with diyas and flowers than bursting crackers.